Podcasting becomes a lot easier when you use the right set up, equipment and services. This means finding the right resources—and the ones you’ll find below are universally used and appreciated. A platform and service that not only hosts your podcasts, but also provides you with the ability and means to start podcasting, get your podcast in iTunes, generate a RSS link for the iTunes store, pre-schedule podcasts, turn your podcast show into an App—and more. It has been an industry standard for podcast production and hosting since 2004. 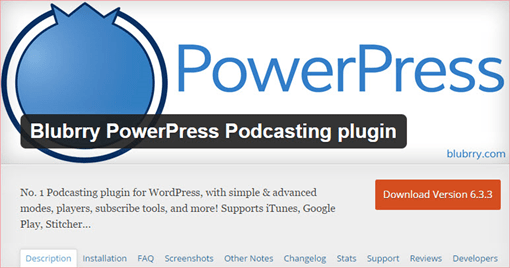 Another podcast hosting service with the added advantage that it allows you to embed a media player right on your blog with its PowerPress podcasting plugin. Basic plans start at $12 monthly and it offers statistics (something it’s good to share with guests or potential guests, if your show is doing well). All of its plans offer unlimited bandwidth. Many WordPress users seem to prefer Blubrry over other podcast hosting services, since everything is done from within WordPress. Check out its podcast media hosting section and scroll down to see some beautiful video demos of how it works. Blubrry’s five-star podcasting plugin. You don’t have to host your podcasts with Blubrry to use it—you can install version 6.3.3 (the latest at time of writing) directly from within your dashboard for free. A stand-alone professional microphone universally loved by many podcasters—and with prices ranging around $100, highly affordable for a great piece of recording equipment. If you’re not yet ready to commit to podcasting, try this incredibly decent USB noise-cancelling headset and mic with good resonance and prices starting around $27. Free recording software that is relatively easy to learn to use. Available for Windows, MAC and GNU/Linux operating systems. Get this particular version (the latest at time of writing) because it has been upgraded to work particularly well for vocal recordings. They have improved pitch control, added a ‘spectral reassignment’ algorithm (translation: optimized voices so they sound better) and spectrogram settings are now available per track. Adobe Audition is more sophisticated than Audacity, which means it has a lot of great editing features and a bigger learning curve. There is a free trial, if you’d like to check it out and see if it’s going to work for you. Free scheduling software that you can set up to allow your potential guests to choose their own time slots. It will also send them mobile text reminders and offers a high degree of security. Easy-to-use and highly flexible, it is one of the best scheduling and organization software suites. The coaching go-to for scheduling software. 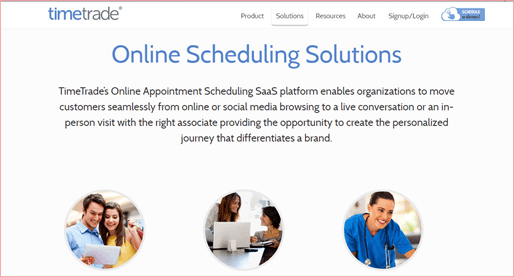 Allows your guests to self-schedule their slots out of options you provide. Similar to ClickBook. Audio genius, Mike Stewart, presents a highly affordable podcasting course for new podcasters. $47 at time of writing. And check out the free webinar on podcasting offered in the menu. Need music for your podcast intro and outro? Help yourself to professionally produced, top-quality, sixty-second clips and themes from Mike Stewart. You’ll find just about any sound and style you want, with fresh new clips added every month. You’ll also have access to a forum, be able to request specific sounds and styles and access training videos. 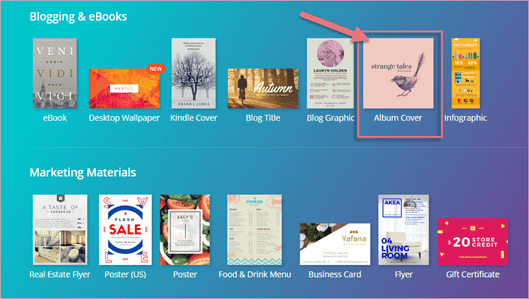 Create professional-looking cover designs for your podcast with Canva (which has both free and paid options). Among its wide selection of templates, it doesn’t offer a specific podcast cover one, but you can use the “Album Cover” template—at 1400 X 1400 pixels, it’s the perfect scale for iTunes podcast covers, which range from 1400 X 1400 pixels to 3000 X 3000 pixels. Helpful and informative article from The Audacity to Podcast Blog outlining what podcasters need to know about copyright issues. Check out their other articles on such topics as trademarks, privacy policies and other legal issues it’s good to be informed about. If you want to see your podcast featured in iTunes “new and noteworthy” section, eye-catching, professional-quality cover art is a must. This article tells you in easy point-by-point format how to achieve that yourself, if you don’t want to outsource—along with examples and instructions on how to optimize and upload your artwork to iTunes. There are hundreds of podcasting resources out there—but in this Resource Directory, you’ll find the best basic ones to get you started—and help you look and sound professional—so you can impress expert guests and listeners alike.